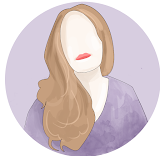 Colleen Hoover is always on my radar but never an author i rush too, like i get how much people love her but like i said, i dont always rush over. I have read another book by her and it gave me all the feels and this one has sat on my kindle a while so on a whim i started this one afternooon. By the end of the day i was snot crying and had finished the book. It really does kick you in the feels. November 9 follows Fallon initally as she meets her dad and breaks the news she is moving from L.A However, Ben cant help but over hear the conversation and inserts himself into the situation in attempt to - well i dont think he was even sure himself what he was attempting to do. However, he knows despite it been Fallons last day he has to spend more time with her. So as their time draws to a close they agree to meet on the same day, no contact but just to meet them - carry on their lives and then catch up. If they are meant to be, in 5 years they will be back together. It is a sweet sentiment, but the passion/love and emotion flowing between this couple one year makes a masive difference to them. 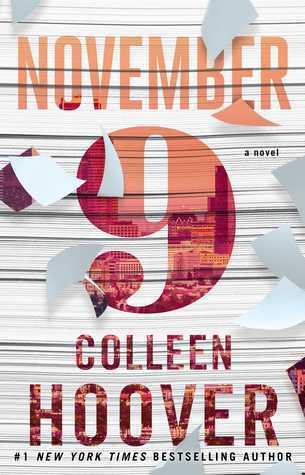 Novemeber 9 is a wonderful book that is sweet, and packed full of more emotion than my poorly state could handle as i was hysterical by the end. The twists it took i did not expect, i literally sat there at one point and said out loud oh i get it...turns out no, no i didnt. This was a book that had enough turns to keep the pace flowing and enough detail that despite the characters meeting once a year, that it still flowed. It was an unexpected surprise how much i feel so deep into this book, it was emotional, heart wrenching and my soul felt like it tore in places. It was wonderful. My first 5/5 of the year.